Leading players have been named in the England women and girls’ squads for the 2019 season. There’s seven players in the home-based women’s squad; eight in the overseas squad and nine in the girls’ squad. 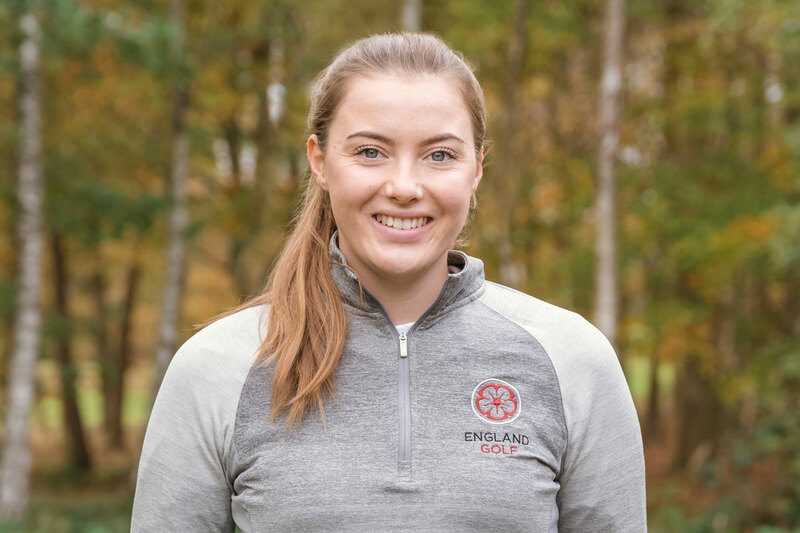 New faces in the women’s squad include English amateur champion Georgina Blackman (pictured), who recently finished third in the Portuguese women’s open. Cara Gainer and Emily Toy, who have just represented England in Australia, also join the squad. During the Australian tour, Toy won the New South Wales stroke play championship. Emily Brennan, who scored a top 10 in the 2019 South American amateur, and Caley McGinty, winner of the Liphook scratch cup, are also included. They join Lily May Humphreys, the Curtis Cup player and Scottish open amateur champion, while Nicola Slater, the English women’s match play titleholder, moves up from the girls’ squad. There’s five new members of the girls’ squad who all made an impact last season: Jess Baker, Rafiah Banday, Rosie Belsham, Ellie Gower and Daisy Kennedy. They take their places beside Charlotte Heath, Thalia Kirby, Mimi Rhodes and Caitlin Whitehead, the European Young Masters and Asia Pacific champion. The overseas squad is made up of established England internationals who are pursuing their education in the USA and includes Curtis Cup players India Clyburn, Annabell Fuller and Alice Hewson. Caption: Georgina Blackman (copyright Vicki Head). Click here to find out more about all our squad players.